eLearning doesn’t have to be boring. In fact, elearning can be pretty funny. OpenSesame offers several training videos that feature the legendary comedian, John Cleese. Most famous for co-founding the storied comic group, Monty Python, John Cleese ventured into the realm of corporate training videos in the early 1970’s. At the time, corporate training videos had a notorious reputation for being both dry and overly factual yet Cleese’s training videos end up being neither. Interactive and filled with wit, sarcasm, and traditional humor, Cleese manages to be entertaining and informative. Some of his courses offered by OpenSesame include The Balance Sheet Barrier Animation, Meeting Menaces: How to Handle Them, Messing up a Meeting: How to Behave, and the classic crowd favorite, Meetings, Bloody Meetings: How to Run a Meeting. Cleese’s involvement with business training videos is demonstrative of the fact that humor is not only a great way to laugh and be at ease, but is also a highly effective learning tool. 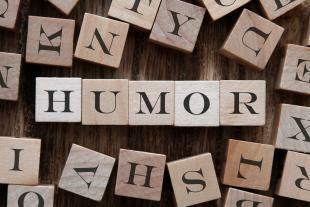 In June 2005 the American Psychological Association issued a press release about an Ohio University study which determined that the use of humor in online courses contributes to higher levels of engagement. This study is consistent with other findings that suggest that humor can help lower anxiety when taking courses and exams. Understandably, not every course creator will have the fortune of having John Cleese acting in a series of videos. However, John Cleese’s involvement with business training courses and elearning can teach us quite a bit about what makes up an interesting elearning course. Case Studies – Utilizing case studies is a great way for viewers to contextualize material and to apply concepts. Humor – As seen with Cleese’s training videos, humor can be an effective tool to help engage students and to make dry or boring material a little more palatable. While there is no specific formula for crafting the perfect elearning course, utilizing various learning methods and a little bit of humor can lead to a winning combination.